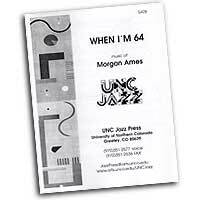 Morgan Ames was singing and playing in clubs at 16, wrote a hit at 18, ("Far Side of the Hill") and another later with Dave Grusin (TV's Baretta's Theme). She learned the business from Quincy Jones, for whom she worked for three years. 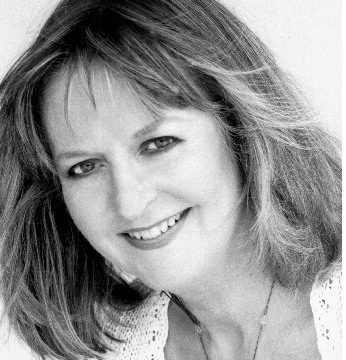 She co-produced the double Grammy winning album "Diane Schuur and the Count Basie Orchestra" and is an established session singer and vocal arranger who has recorded with Kenny Loggins, Wynonna, Vanessa Wiliams, David Foster, has written vocal arrangements for Al Jarreau, Dionne Warwick, Bette Midler, Yanni, David Benoit, has performed with Paul McCartney, Chaka Kahn, Jerry Butler, Doobie Brothers, Patti Austin, has sung in films such as Sister Act I & II, Quest for Camelot, Amistad, League of Their Own. Her songs have been recorded by Roberta Flack, Shirley Horne, Barbara Mandrell, Bob James, Peggy Lee, etc. Morgan currently performs with Inner Voices. The four members of Inner Voices' bios read like a who's who of session recording. Practice has made perfect, and they are caroling at your door! The female soprano, alto and tenor (one of whom is Morgan Ames, Grammy winning arranger) and male baritone, along with guest vocalist Mervyn Warren of Take 6, have produced an immaculate recording. The luminous sound has been refined and honed until it shimmers. All four singers trade lines on "I Wash My Face in a Golden Vase" (accompanied by keyboard, as is "Christmas in My Dreams"). Soprano Donna McAfee's soars on "The Savior is Born," gliding effortlessly up and down the scale with total precision. "Christmas Night in Harlem" captures that NewYork smoky jazz club vibe; "My Father" combines the Indian raga (phrygian scale?) with the traditional Western carol for a haunting, enigmatic result. This sophisticated group satisfies the heart and the mind. Manhattan Transfer meets Sons Of The Pioneers! The incomparable Morgan Ames had produced, arranged and recorded the selections which she describes as "a group of a cappella cowboy and mountain songs based on pure historical American, plus a few strays, filtered through my jazz-based sense of harmony and four city singers." She goes on to add... "I grew up looking for home on the range, pretending to be Annie Oakley on rented horses at the Burbank Stables. But singing this music, our shared American heritage, was a gift and that's how we offer it to you." Now, all isn't just tradition as occasionally a new lyic or two is added, but the singers Shelby Flint, Morgan, Melissa Mackay and Michael Mishaw manage to maintain a sensibility of tradition while creating an entirely new feel, exactly as Morgan describes in her quoted comments above. Real traditional tunes such as "Home on the Range," "Old Diamond Joe," (a multi-track overdubbed recording sung entirely by Michael) and "Old Chisholm Trail" are mixed in with a leavening of newer tunes such as "Witchi Tai To," "My Real Home," and "Springtime in the Rockies." The only difficulty we face in reviewing a recording of this calibre is expressing our enthusiasm without going overboard! 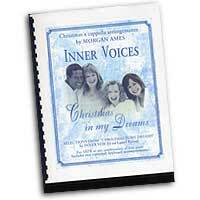 Listen to "Cielito Lindo", "Where Am I Going" and "Home on the Range"
Produced just for us, these exquisite, mostly traditional carols can be heard on Inner Voices "Christmas In My Dreams" CD. Two selections, the title song and "I Wash My Face In A Gloden Vase", have optional keyboard parts. The layout is extreemely clean and easy to read. Some of the arrangements have solos, and the soprano parts can go a high as B flat above high C, but the results will be thrilling. Morgan's talent really shines! I have been the leader-arranger of an a cappella group (Inner Voices) for over 15 years and a lot has changed. For instance, a cappella singing has come back in fashion in the record business, just as it will go out again. No point worrying about it and I don't think most of us do. When you love voices suspended by their own weight, all alone, a cappella, you just do. The path of women vocal arrangers follows the path of evolution for women generally. If you think you can do it, you can. But you have to acquire a taste for heartbreak which is to say, hang onto your sense of humor. Most important of all, build your skills. My experience as a music professional all these years is that there is no give relative to craft skills, not for women. Skill breeds respect and without it, professional work is no fun once you're out of your 20s. It's a good thing too. You spend a lot more time in your career not young than young. The lion's share of success and artistic satisfaction comes later, and deepens as you do. When I hear groups at a vocal faire or whatever, I often wish they would rethink their arrangements. At the moment, vocal percussion is in fashion and some groups think that if someone has a mic in his mouth, the song is arranged. It isn't. Another trap is the wall of sound approach the group or someone in it picks a time feel (often repetitive), falls into a familiar chord style and just keeps going. Then: end big and stop. But there is an ocean of difference between finishing an arrangement and stopping because it's long enough. A stop happens and a finish is earned. If you're a woman at the millennium, believe me, craft skills are the secret. They help build confidence and neutralize intimidation - especially from the guys. If you're a singer, and the majority of vocal arrangers are, you already have a good start. Of course, the music style of your group impacts your arranging choices, but even styles which appear relatively simple, doo wop for instance, are not. The work of great groups just sounds simple. The myth of the doo wop group hanging out on the front porch in Philly is pretty much just that. On the other hand, if you don't know what you're doing, arrangements can get ridiculously over-complicated, driving everyone in the group crazy and sucking energy out of the song. I never start writing an arrangement until I see it in my head. I kind of meditate on the song, in silence. For me it's important to cast it like a movie among the brilliant singers in my group. I get a feel pretty quickly about who should stand out, whose persona fits the lyrics. I'm not afraid of space. I vary from all-four to one voice to a duet in sixths all in maybe eight bars. It's called dynamics. Four voices have entirely different weight and color than two. One singing loudly versus four singing softly lends surprise and dimension.